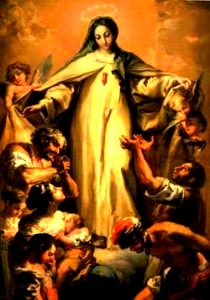 Our Lady of Ransom appeared to Saint Raimund, of the order of Saint Dominic, on this day in the year 1218, and also to King James I of Aragon, and likewise to Saint Peter Nolasco in three separate apparitions, making known to all three that she desired each of them to contribute to establishing an order for redeeming captives. That Order they established is known as the Royal, Celestial, and Military Order of Our Lady of Mercy and the Redemption of the Captives, is also known as The Order of the Blessed Virgin Mary of Mercy, the Order of Merced, the Order of Captives, or the Order of Our Lady of Ransom. At that time in history, during the 13th Century, the powerful Islamic Taifa kingdoms in Spain, as well as the Ottoman Empire at the opposite end of the Mediterranean Sea, operated a slave trade the scope of which has not been seen anytime else in history. The Spanish, particularly, were subject to raids in which they would be captured and imprisoned, sold into slavery and often forced to renounce their Catholic faith or face severe discrimination, torture and death. It is estimated that in a single year more white Europeans were taken captive than the number of all the slaves shipped to America during the entire time of the slave trade there. 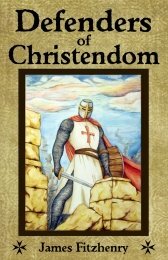 Long before the First Crusade, organizations like the knights of St. John Hospitaller and the Templars were formed to protect Christian pilgrims in the Holy Land, while the Hospitallers also ran hospices along the route to the Holy Land and even a hospital in Jerusalem. There were also charitable institutions, usually run by the nobility, that would ransom Christian captives from imprisonment. 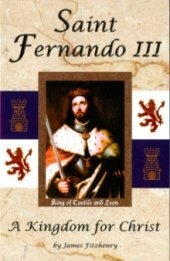 In the year 1203, a man named Peter Nolasco formed an organization that would ransom those who were not wealthy or prominent men, whom he called the “poor of Christ.” Saint Peter Nolasco was not a priest, but he worked diligently to rescue Christian captives, and other men soon joined him in this charitable work. Unfortunately, there were far more captives than he was able to help, so Peter turned to God and His Blessed Mother in prayer for help. It was then that the Blessed Mother, Our Lady of Ransom, appeared to him on August 1, 1218, turning his order into a religious organization with the assistance of Saint Raimund, and the protection of King James I of Aragon. Saint Peter Nolasco went to the court of King James I the following day, and as the king had also received a vision of the Blessed Virgin, he was extremely supportive of what Peter Nolasco intended to do. In fact, King James considered himself a founder of the order, and gave his own illustrious coat of arms, with a cross above a shield with four red stripes on a gold background, to be worn on their breasts and scapulars. The cross is the Maltese Cross of the Knights of Saint John, the military order who had fought so magnificently against Islam for centuries. On August 10th, the Celestial and Military Order of Our Lady of Mercy and the Redemption of the Captives was officially constituted at the Cathedral of the Holy Cross in Barcelona. One of the vows of its members is that they will take the place of captives, and even die for any Christian who was in danger of losing his Catholic faith. In 1235 Pope Gregory IX formally recognized the Order inspired by Our Lady of Ransom, which at one point was renowned for having rescued 70,000 Christian souls. It is estimated that 2,700 were rescued during the lifetime of Saint Peter Nolasco, who died in the year 1258.